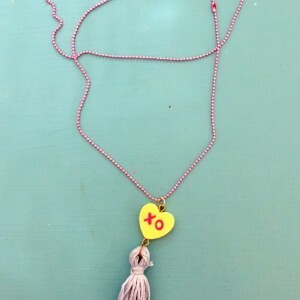 Super cool, fun, and eye-catching conversation heart necklace! 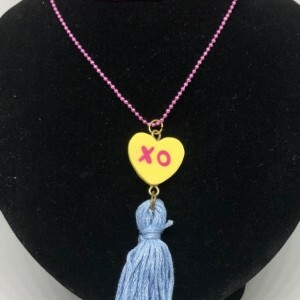 A fun statement for all ages! 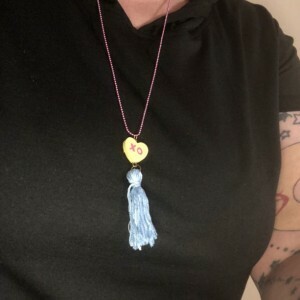 Miniature toy yellow and pink eraser has been set for long lasting fun, and is attached with eye hook to an amazing hand-cut bright pink ball chain. 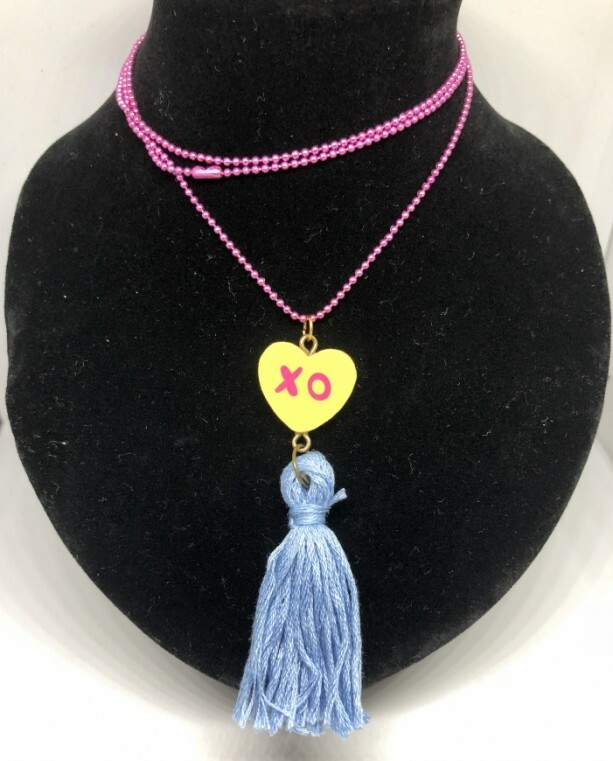 A handmade blue floss tassel hangs from the bottom of the heart to create a carefree and whimsical look! 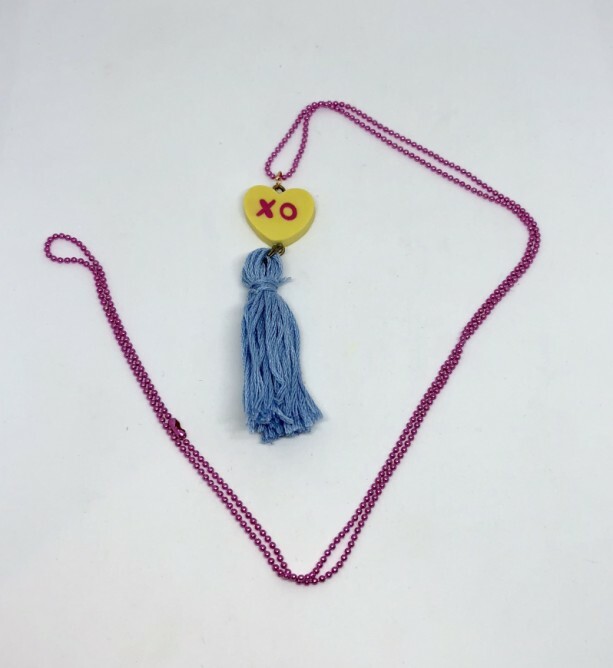 The necklace chain measures an incredible 26 inches, and the tassel coordinates well with the size at 2 inches long. 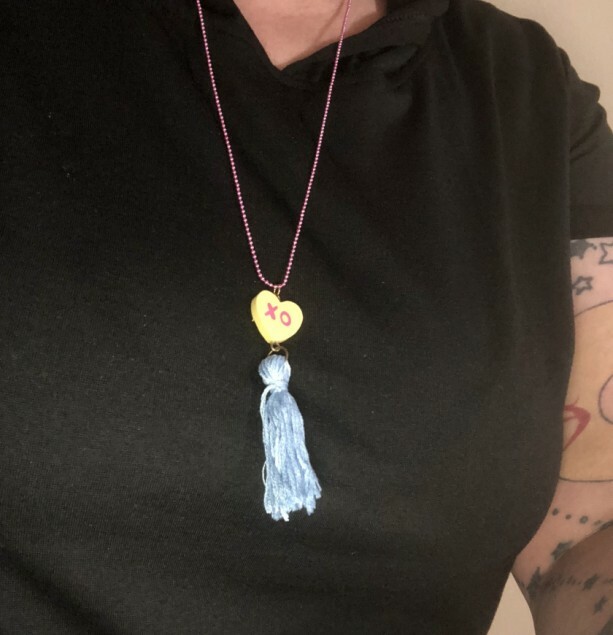 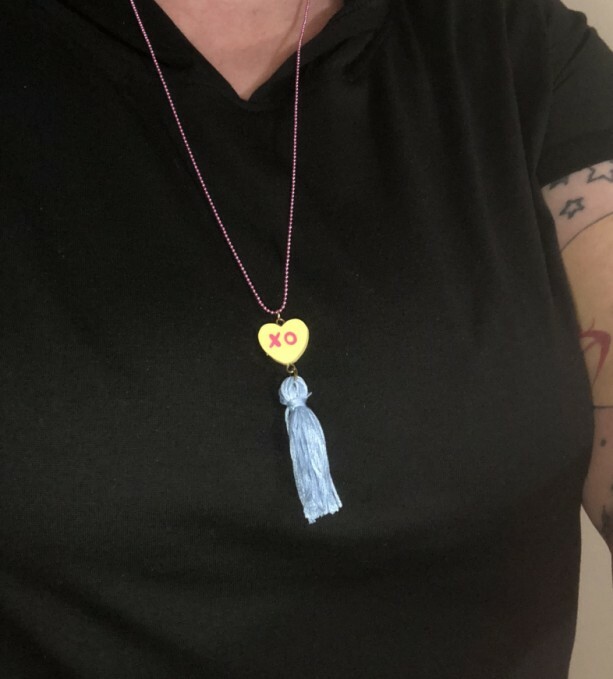 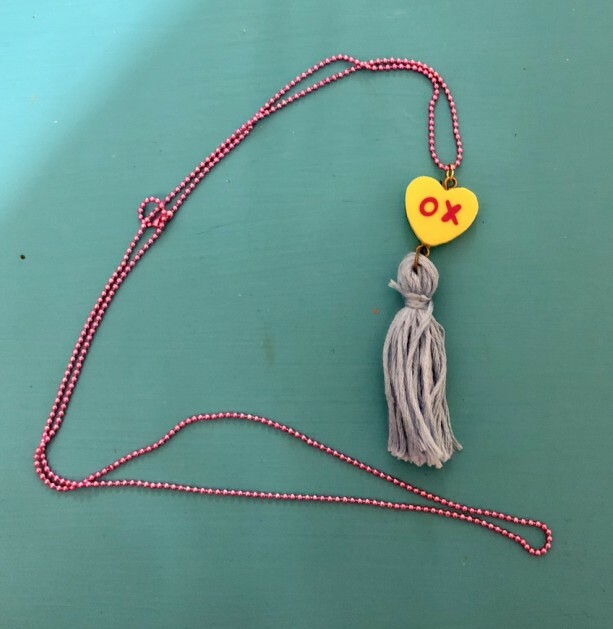 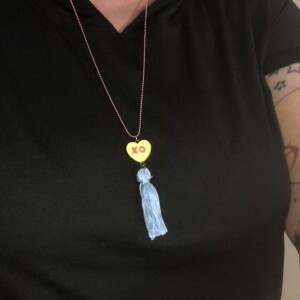 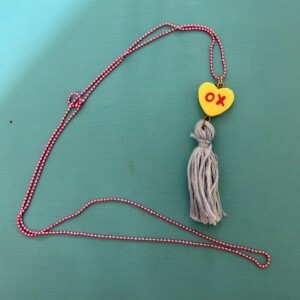 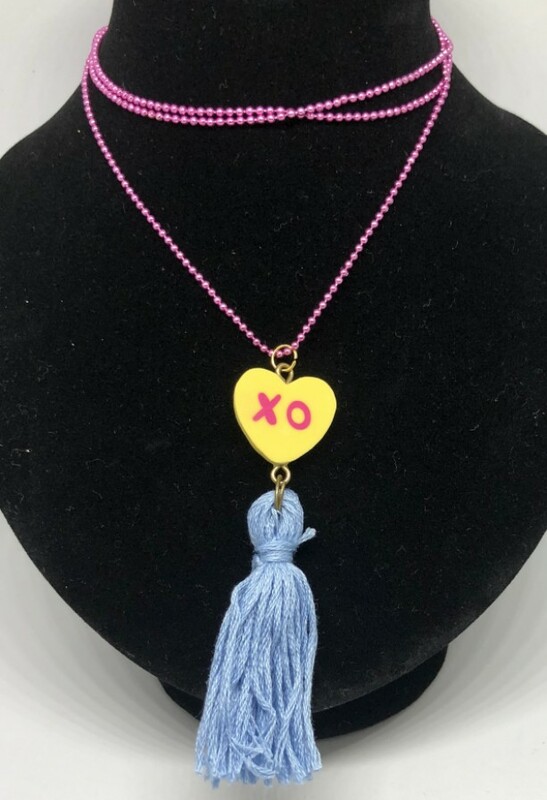 This upcycled toy necklace features a XO conversation heart, and is a great fashionable piece for tees, sweaters, and dresses! 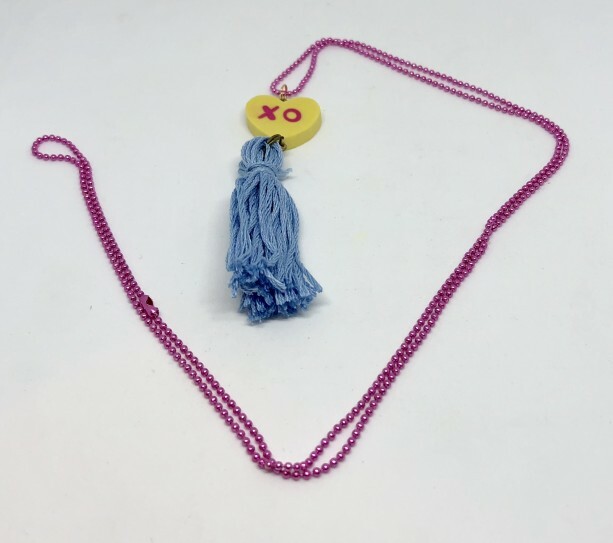 Makes a wonderful and interesting gift for valentines day and fashionistas in your life! 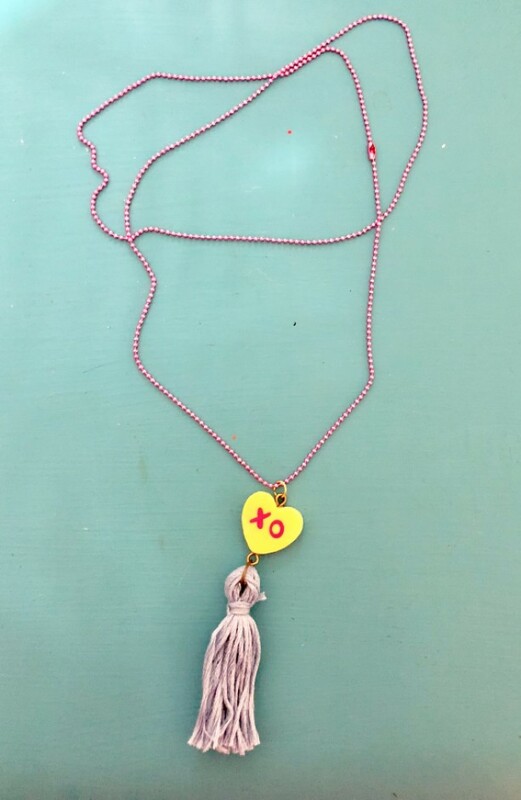 All jewelry is carefully packaged with reused and reusable materials to insure an economic and earth-friendly trip from my home to yours!